Are you looking to learn more about sports in Canada? 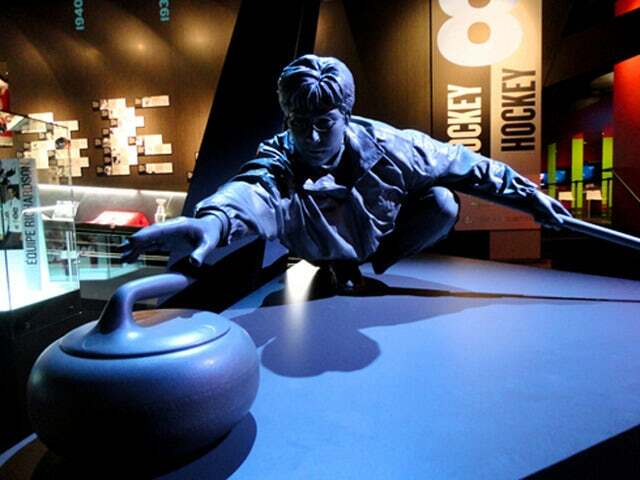 Then check out Canada's Sports Hall of Fame in Calgary, Canada. Are you a big sports fan? Then you don’t want to miss the great collection of sports memorabilia at Canada’s Sports Hall of Fame. Feast your eyes with rare collections from famous sports players like Canadian baseball greats Tony Gabriel, Ron Taylor and Justin Morneu. Get to see Olympic and Paralympic Galleries featuring the ski boots of the famous freestyle skier Alexandre Bilodeau and a whole lot more! Canada's Sports Hall of Fame is an award-winning 40,000 square foot facility with state-of-the-art technology located at Canada Olympic Park. There are more than 50 hands-on interactive exhibits including sport challenges, touch-screen sport lessons, mini-theatres and 3D simulations. Get inspired by these collections at Canada’s Sports Hall of Fame and you get to practice with interactive exhibits like shadow boxing with world heavyweight champion Lennox Lewis. Take a look at the Hero Station where you’ll find out and learn about the hardship, risks, dedication, sacrifice, ingenuity, creativity and the passion of a recognized Canadian sport hero. You can also get to interview some other Canadian greats with the interactive ‘Ask the Athlete’ exhibit. Canada’s Sports Hall of Fame also provides educational programs where students can take a tour and experience the greatness of sports. Contact us now for an unforgettable tour of the great collection of sports memorabilia at Canada’s Sports Hall of Fame!